Many English words begin their lives as slang. Dictionaries like Merriam-Webster monitor slang closely in order to understand new trends in English, eventually adopting new slang words into the dictionary. (If you’re interested in the ins and outs of this process, you can learn more here.) This year, eight slang words caught our eye. Here are the stories behind them. This year was marked by a number of new terms for showing passive aggression, both online and in person. We learned how to subtweet, throw shade, shade, read, and drag in 2017. Some masters of shade, like Demi Lovato, even managed to throw shade about shade, forming a type of meta-shade we all watched from the sidelines. Of course, throwing shade was at the center of this storm of subtle insulting techniques. Fueled by the term’s extensive use on RuPaul’s Drag Race, “throwing shade” joined the mainstream lexicon for passive aggressive acts online and in person. The less popular verb form “shading” also gained some popularity, although not as much as its older, longer cousin. Where would we be without the glorious portmanteau that is photobomb. Although Google Trends indicates that this term has been used as far back as 2009, we can’t forget the glorious photobombs that happened in 2017. We can all learn a little something from ‘s photobomb skills. ? Facepalm is another portmanteau that rose to prominence long ago but gained new importance in 2017. The “facepalm” emoji was released as a part of Emoji 3.0 in June 2016, then was adopted by various devices through this year. It seems that this was also a year of many food-based slang terms gaining their rightful place in the dictionary. From true food words to delicious representations of other phenomena, this year was rife with scrumptious semantics. Which of these makes you the hungriest? 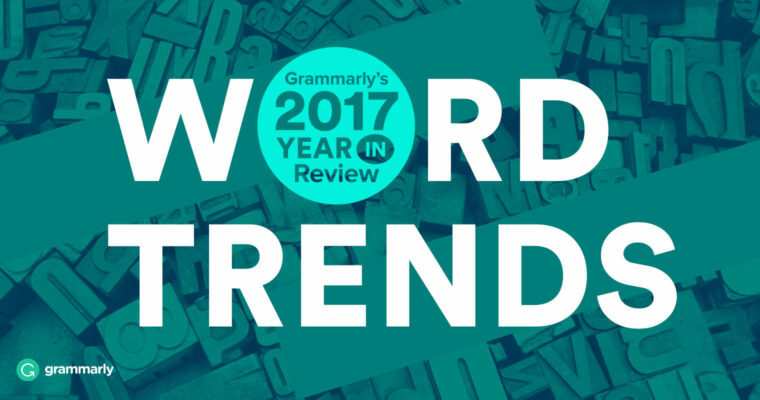 Vote for your favorite in our 2017 slang word poll. Who doesn’t love a good frozen yogurt? The popularization of “froyo” as a portmanteau is relatively recent, but frozen yogurt is nothing new. Although this diet-friendly treat has been around since the 1970s, its non-frozen predecessor . No, this word doesn’t refer to that watery marinara you made last week. Instead, “weak sauce” is the negative counterpart to the older “awesomesauce,” and is used to declare something inferior or unimpressive. We’re not sure about the origin of either “weak sauce” or “awesomesauce,” but clearly they’re here to stay. Using a noun as a verb is not a new language trend. And yet, every year, this linguistic phenomenon produces brand new dictionary words. Last year, verbing gave us “adulting,” and this year, it has reared its head again with “ghost.” The phenomenon of “ghosting” has been known in the , and the word seems to stem from the spooky effect of silently exiting a chat conversation. No public claims have been made to the invention of this term, but it likely sprang up organically in the post-2012 dating app boom. Want to update your dating lingo? Try using which all describe behaviors similar to ghosting. At this point, most people who read things online know their listicles. These short, pithy, lists of items are popular across the Internet, and Bloggr loves to use them as well.